Game Theory During my time with the Destiny beta I’ve veered from game to game in a bid to nail down exactly what it is that Destiny reminds me of most. At first that game was Halo and no prizes for guessing why. Not only is Destiny built by Halo’s creator, Bungie, but with its sci-fi setting of alien aggressors and super-strong heroes, the game reminds one of Master Chief's odyssey. Comparisons don't end here either. A lot of gameplay is reminiscent of Halo – everything from the way enemies pour into areas via drop ship to your character's recharging shield. Even the way Destiny pits opposed forces against you – the Fallen and Hive in the Beta – bears resemblance to Halo's similarly antagonistic Covenant and Flood. Delve deeper though and comparisons to what you might pigeonhole as a "traditional shooter" become increasingly redundant. Destiny is also, for example, a loot-em-up in the style of Borderlands, with enemies regularly jettisoning guns and armour as they fall. As in Borderlands, exploration yields rewards too, with treasure hidden inside the darkest extremes of the game's expansive environments. Though, that said, there are lingering concerns that one area per planet (across Earth, Moon, Mars and Venus) is on the mean side. Another game with which it shares similarities is Mass Effect – especially in the way your bespoke Guardian levels up. 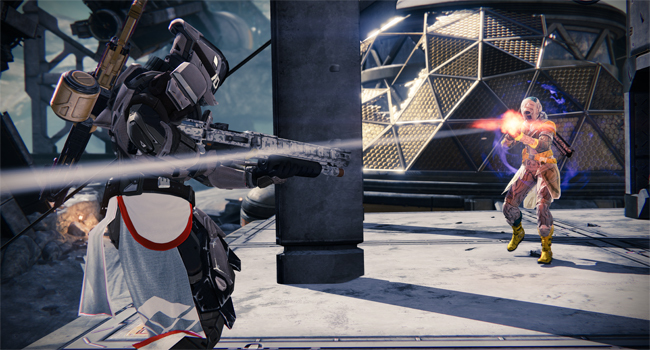 Higher levels bring increased toughness and access to increasingly deadly weaponry and, more importantly, the unlocking of devastating super-attacks across Destiny's three classes: Wizard, Hunter and Titan. 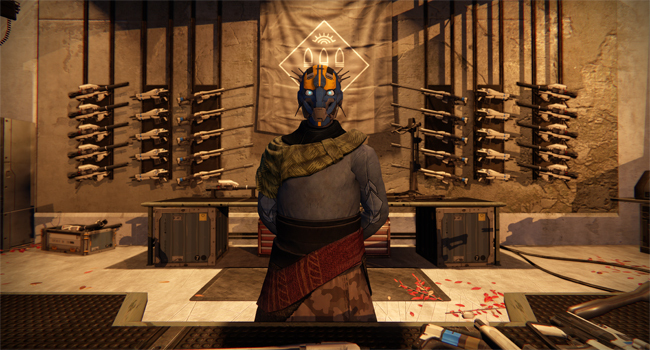 Then there are Destiny's MMORPG leanings; one of Destiny’s central features is its always connected online world. Only during certain missions is teaming up enforced, but seeing your fellow Guardians from afar can't help but pique your curiosity over what they're up to. 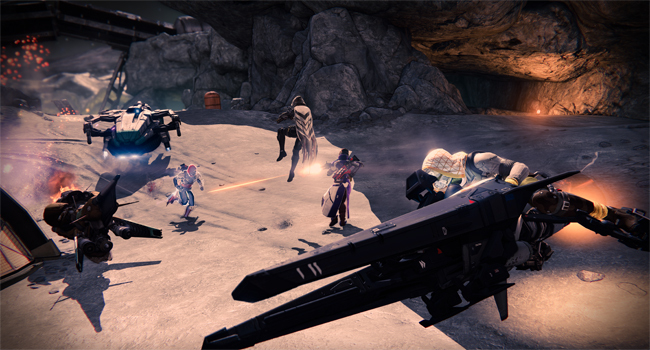 In fact, by not overtly forcing co-op, Bungie has made those moments of player camaraderie more memorable. I even found that seeing my fellow Guardians fighting the good fight made them take on the guise of a more believable force, as war rages on against the fiendish Darkness. At least that is until the illusion is ruined by the "hilarious" dance moves that Bungie has inexplicably endowed its heroes with. But then Destiny has one final trick up its sleeve by way of its Crucible, the place where Guardians cut loose in pitched battle amongst themselves. And so, in a blaze of capture-and-hold online fragging, we're back once more to solid FPS territory. 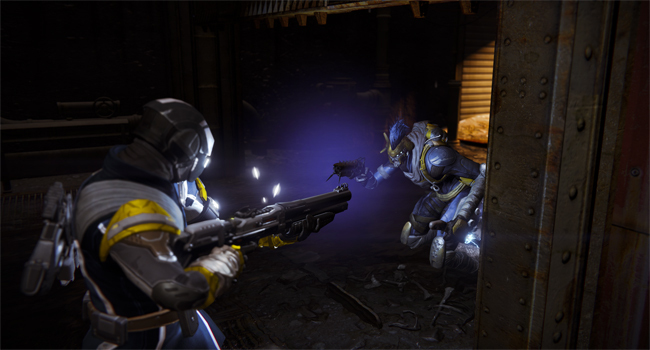 The addition of the Guardians' splash damage-heavy special attacks, however, means it's fragging with a slight, sometimes distracting, twist. Despite the good start, the beta’s end left plenty of questions remaining – not least because it locked players to a lowly level eight. For starters, will your character become noticeably divergent from others of the same type depending on your choice of upgrades? 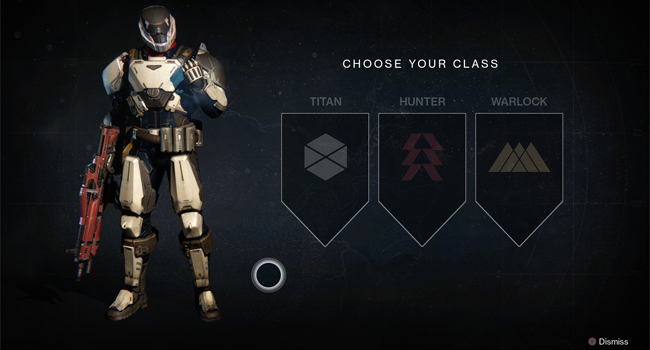 Will the three classes truly diverge so that playing the game via each will make it a wholly different experience? Based on the similarities between classes up to level eight I'd imagine not. 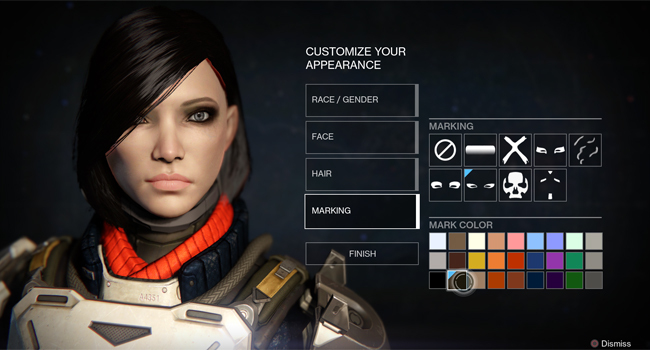 How far will the character creation evolve? I also wonder whether enemies of higher levels will become tedious bullet sponges that soak up damage in the name of entertainment? Revisiting the same single environment per planet could prove wearisome too – do I hear the call of non-too-distant DLC? For now the jury is out on Destiny. But, as I began this piece by comparing it to a roster of games, let me at least say that in its favour, Destiny blends so many ideas that it has taken on its own identity in turn. 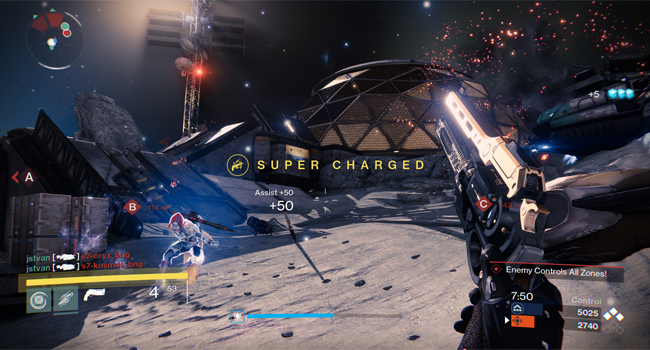 Sci-fi cliché it might be, and blessed with a few questionable features, but Destiny demonstrates a new breed of persistently online FPS (and is still in beta to boot), so I'm willing to give Bungie the time to tweak its title before casting judgment. 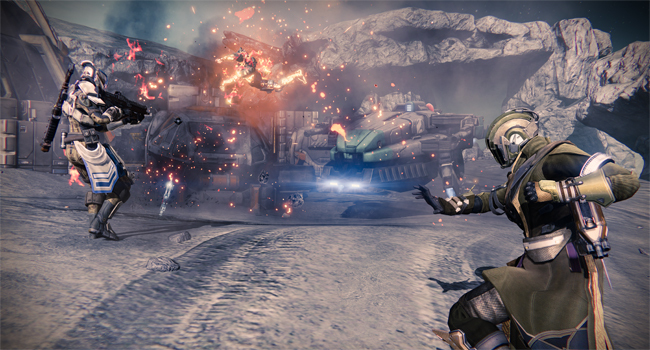 Destiny for PS4 (tested), Xbox One, PS3, Xbox 360 is released on 9 September 2014. Prices start at £45.